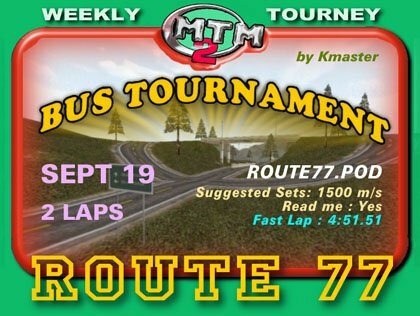 Saturday's race track was "Route 77" by OLD_Kmaster. 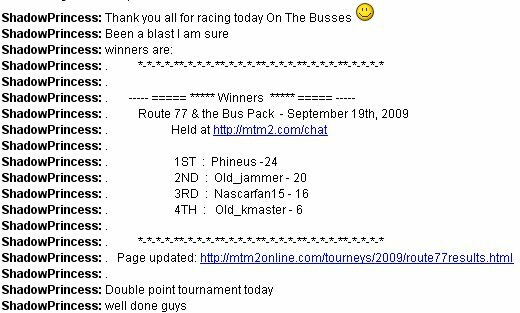 We ran today's race with special busses created by Monster_Mora and Kmaster. Thanks guys. We had 4 racers signed up.